How Do I Connect My Samsung Smart TV To The Network? Home TV Guides How do I Connect My Samsung Smart TV to the Network? 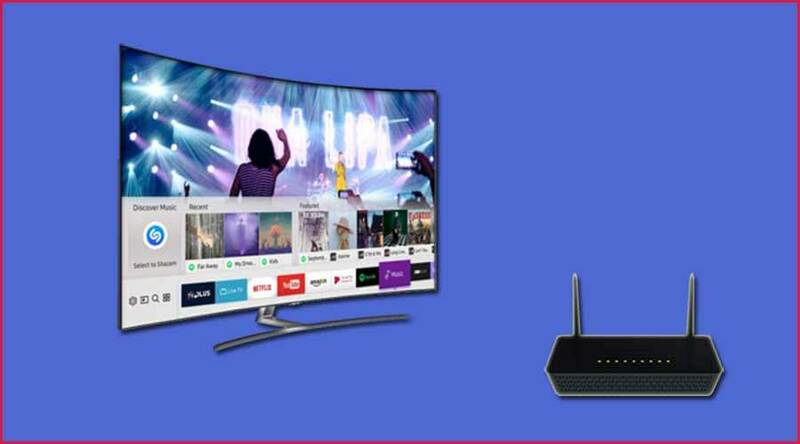 In this article, I am going explain about how you can connect WiFi to Samsung Smart TV. Samsung Smart TVs are not just TV which works on a cable connection, you can use them to even browse videos, films on the internet and much more. However, you need an internet connection, a wireless router, and a wireless adaptor which should compatible with your TV. You also need the information about Wireless network like Network name, Wireless encryption key, etc. Then scroll to “Network” and select it. Select “Wireless” in the network type. Then select your Wi-Fi network from the list. It will ask you to enter the Wi-Fi password which you can enter using the onscreen keyword or the remote. Then use your Samsung remote to press the blue button or press “Ok”. A message will pop up confirming that your network has been set up. Take your Ethernet cable and connect it in the LAN port in your Samsung Smart TV. Take the other end of the Ethernet cable and connect it to the open LAN port on your Wi-Fi router. Then select “Menu”, using your Samsung remote. Then scroll down to Network and select it. Select “Wired” in the Network Type. Choose “Network Test”, to make sure the Ethernet connection is set up properly. A message will pop up confirming that your wired connection is completed and up and running. Next article How Much is Masika Kalysha’s Net Worth In 2019? Top 10 Apps for Samsung Smart TV?